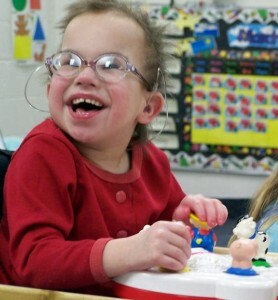 LIFEDesigns uses your contributions to provide quality services to the individuals we support. Just as there are many different individuals who benefit from your generosity, there are also many different ways to support our mission! We are grateful for your time, monetary gifts, and in-kind support. Read LIFEDesigns‘ 2013 End of Year Letter from CEO Susan Rinne to learn more about the impact of your giving. Goodsearch.com is a Yahoo-powered search engine that donates about a penny for each search. Use GoodSearch instead of Google, Bing, or Yahoo, and support LIFEDesigns while getting the results you need. If 50 people search just 5 times a day that would earn over $900 for LIFEDesigns in one year! Don’t forget to designate “LIFEDesigns, Inc. (Bloomington, IN)” as the charity you GoodSearch for! As an AmazonSmile charity, you can now donate to LIFEDesigns with every eligible Amazon purchase. Shop here and select LIFEDesigns Inc. as your designated charity. To give in memory of someone, use the memo line on your check or the “notes” in your online gift “In Memory of (Name)”. Your in memoriam gift is a great way to honor them by and support the agency that was a big part of their life. With this gift, others will be touched by LIFEDesigns just as your loved one was. Simplicity: Just a few sentences in your will or trust are all that is needed. Flexibility: Because you are not actually making a gift until after your lifetime, you can change your mind at any time. Versatility: You can structure the bequest to leave a specific item or amount of money, make the gift contingent on certain events, or leave a percentage of your estate to us. Tax Relief: If your estate is subject to estate tax, your gift is entitled to an estate tax charitable deduction for the gift’s full value. “I bequeath to LIFEDesigns, Inc., an Indiana non-profit corporation with its principal office currently at 200 E. Winslow Rd., Bloomington, Indiana, [and the specified program, if appropriate] for the purpose of providing services to individuals with disabilities allowing them to lead meaningful and active lives in our community [a specified sum, or specified items, or the residue of my estate] free of all duties, and the receipt of the Secretary or other authorized officer of LIFEDesigns, Inc. for the time being shall be a complete and sufficient discharge for the executor(s)”. By including a charitable gift to LIFEDesigns in your estate planning, you can help LIFEDesigns continue to offer life-changing services for future generations of individuals with disabilities. We advise you to speak to a professional, specifically one who specializes in estate planning, to create your planned gift. Although LIFEDesigns does not give professional financial or estate planning advice, we are happy to work with you and the professional you choose to design a planned gift to LIFEDesigns that is right for you and your family. If you have any questions about donating, please contact Stephanie Shelton, Community Development Officer, at 812-332-9615 Ext: 218 or support@lifedesignsinc.org.